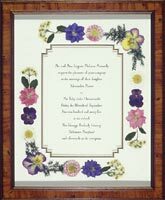 De Mon Jardin custom designs wedding invitations, baby announcements, and any other special occasion. 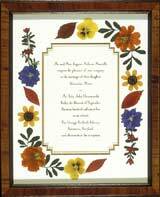 To place an order please fill out the Invitation Order Form. Single, double, and triple openings are available. 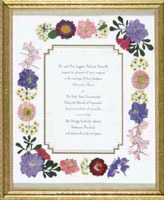 You can specify a color theme or leave it up to us. Please be sure to give us ample time to create your piece. 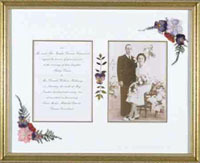 We can mail the finished product to you or gift wrap it and send it to the bride and groom (please specify in your order). Please email or call with any questions.